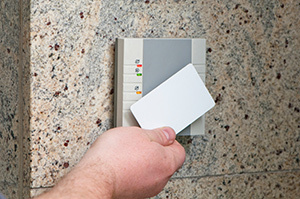 Selecting an Access Control system is an important financial decision for all organisations. The cost implications can be daunting, but the system also needs be on par with your vision and level of security desired in and around the building. The access control should give the benefit of additional security without requiring time consuming administration or management costs. Access can be granted by codes or fob keys which are pre-programmed with the desired level of access required for each invdividual person. 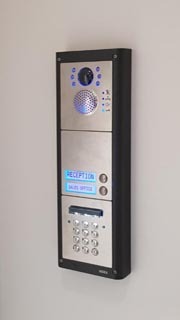 Stand Alone Access Control Systems, Usually a stand alone system would be used to gain access in one or more doors in a building which would be programmed at each door. Network Access Control Systems, Control one or many doors in a building with the access being granted by using numerical pins or fob keys depending on which type of system is fitted, this is usually the most commonly used system as it allows flexibility and less congestion as it is quicker to manage and centrally controlled. There are multiple systems allow control of additional buildings via existing LAN/WAN. Network based systems that DTS provide are more often then not also being used being used to control other services within buildings, for example intruder alarms, fire doors, lifts and lighting. Why would you need to have an Access Control System Installed? For More Information on Access Control Systems or for a FREE Quote Call Us Today on 0208 090 7485 or simple fill in the contact form below and we will call you back.